I had the best time in Dubrovnik! Half way to old town and half to main bus station and port. For me was the best choice cause close to the old town i woukd be far from the rest and at the end it was more important than everything once you need feery/bus to move. The house is simple but the room are so good and clean. They have aircon and kitchen. Antonia and her family were the most incredible people I meet in this trip, I never felt at home like that. Excellent hostel. Friendly staff. Bedrooms are clean. I recommend 100%. The staff of Lina Hostel are great and very welcoming. The common areas are really nice and provides a great atmosphere of integration with the other guests. It was a rellay nice experience! Hostel Lina is awesome. It is a bit far from Old Town, is true, but there's a bus that take you directly from Old Town to the stairs in front of the hostel. In fact, there are many stairs, and it is posible to feel tired going up. But concerning the price of hostels in Old Town, Hostel Lina is a great value for money. Besides, the hosts are AMAZING and took care of me when I was feeling sick and in fever. They also helped us with information, maps and even some medicine. I'd totally recomend it! The host is very sweet and helps you with everything, making you feel at home! It 20min away from the city center, but you can easily take a bus. It's a typical house where you can experience local life. Very clean and safe. 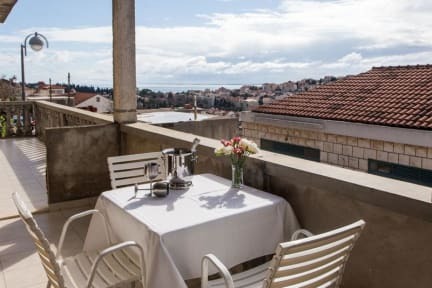 Great value for money in Dubrovnik! We had a great stay at Hostel Lina. The hosts, Antonia and her family, where vey welcoming and kind to us! Tip: try their homemade wine, it was pretty good too! The only minor problem in our stay was related to the wifi, since the internet was pretty slow some times. Nevertheless, we absolutely loved this hostel and definitely recommend it! Way up the hill and not so close to the old city. Nice beds and nice bathroom, family hostel. 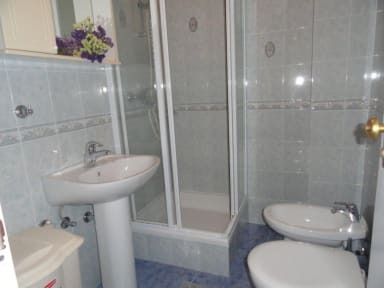 Small kitchen included in the corridor.